For 50 years, Reason has promoted choice, competition, and a dynamic market economy as the foundation for human dignity and progress. We use award-winning journalism and public policy research and outreach to influence the frameworks and actions of journalists, policymakers, and opinion leaders. 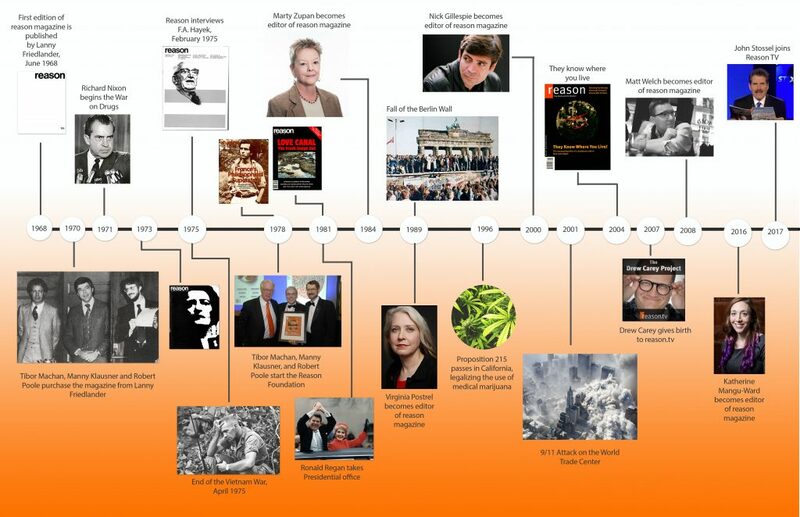 See some of Reason’s most important milestones over the last 50 years! Watch Reason in the media! Hear what donors, trustees, and influencers have to say about Reason! Celebrate 50 years of Reason with us at a Reason event! Support the next 50 years of Reason with a gift today!